The Madras Service Commission came into existence in 1929. Madras Presidency was the first province in India to establish the Service Commission. The Madras Service Commission was renamed as Madras Public Service Commission in 1957. In 1970, when Madras state became Tamil Nadu state, the Madras Public Service Commission automatically became the Tamil Nadu Public Service Commission (TNPSC). Congratulations on making the decision to appear for the Tamil Nadu Public Service Commission Group I exam. On clearing the three tier Group I exams, you become eligible for postings such as deputy collector, police superintendent, assistant commissioner, district registrar etc. Students are then shortlisted for the Main exam and final selections are made based on the oral test. These Exams are conducted in English and Tamil. 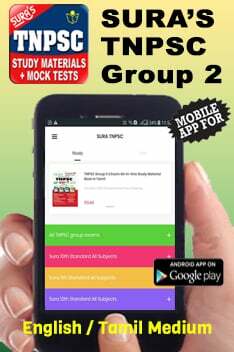 The TNPSC Group 1 Exam – Online Mock Test Series in English are available at http://www.examdunia.com/Exam/4/tnpsc-group-1-preparation-online-test-english-medium while the Tamil version can be accessed at http://www.examdunia.com/Exam/9/tnpsc-group-1-online-test-in-tamil-medium. These Mock Tests have been designed to be at par with the TNPSC Preliminary exams. The TNPSC Mock Tests test you on various subjects at degree standard levels. The following subjects need to be studied to fare well at the Preliminary Exams. The exam will have objective questions based on the following topics. General Sciences: This includes Physics, Chemistry, Botany and Zoology. Current Events: This includes History, Geography, Economics, Current Affairs and so on. Geography: Pollution, solar system, Fisheries, Agricultural patterns, Water resources etc. History & Culture of India: For success in this unit you have to be familiar with the various civilizations in India, The British Rule, Characteristics of Indian culture, Tamil Nadu Politics, etc. Indian Politics: This unit tests you on the constitution, Fundamental Rights, Local Government, Elections in India, Corruption and anti- corruption mechanisms, etc. Indian Economy: Five year plans, liberalization and privatization, Banking system, Planning and Finance Commission, NDC, etc. Indian National Movement: Early Resistance, Indian National Congress, World War, Role of freedom fighter from Tamil Nadu, etc. Mental ability & Logical Reasoning: Data Interpretation, LCM, HCF, Simple and Compound Interest, Area, Volume, Dice puzzles, Visual reasoning, sequence recognition. There are numerous books and online Mock Tests available to practice and succeed at these tests. These books can be purchases online at http://www.surabooks.com/. Keep in mind that while these tests seem easy, every detail must be kept in mind. So practice regularly. The syllabus is vast so don’t waste precious time by trying to concentrate on a subject which is currently not interesting you. There is always tomorrow, you might be in a better frame of mind to study it.